I am working on daylight and energy simulation of non-planar façade which is a combination of PV panel and glass. I have to compare the energy consumption (heating, cooling, lighting) and energy generation (electricity by the PV panel) of different configurations of non-planar façade. I have started with a simplest model. 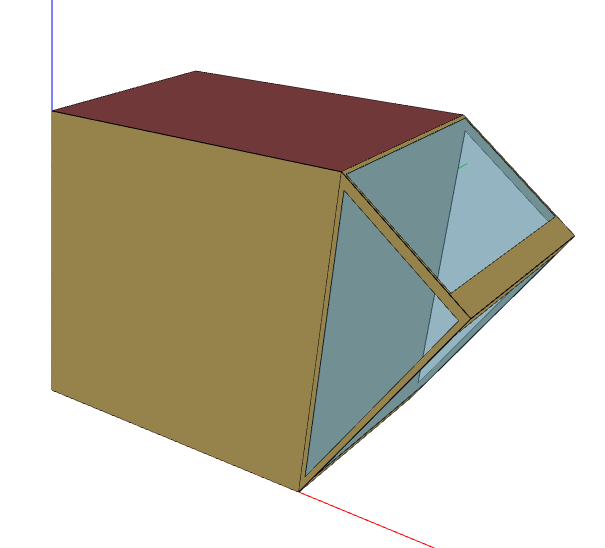 Attached you can find the picture of the simple model of non-planar façade. I started with a box and deconstructed façade surface and made it non-planar. Then two closed zones are created and I then use HB-SolveAdjc, but the Energy Simulation gives a Fatal Error. ** Fatal ** GetSurfaceData: Errors discovered, program terminates. @Nikou Could you upload your Rhino model and Grasshooper definition? @minggangyin thanks for your reply. I try to upload my file but It is not possible. I get the message " New users can not upload attachments". Anyone can help?! @Nikou You can share the link of you model using GoogleDrive or Dropbox. @Nikou The googledrive link is not able to download. So I did a demo according to your demand. 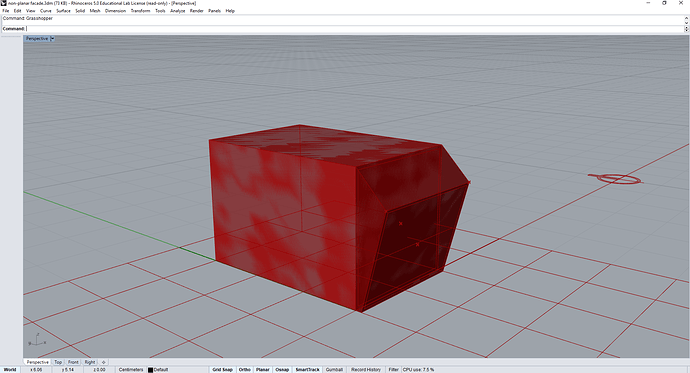 Here is the screenshot of openstudio model and grasshooper definition.